2012 Le Berne, Vino Nobile di Montepulciano, Tuscany Italy. I’ve always been a fan of this small winery in Tuscany and their wonderful Vino Nobile di Montepulciano, but this amazingly pure 2012 really lifts it to the next level with graceful layers, bright focused intensity and length making for an extraordinary Sangiovese experience. The 2012 Le Berne is about 90% Prugnolo Gentile or Sangiovese Grosso (Brunello clone) and with small parts Canaiolo Nero, which is widely inter planted through Tuscany and Mommolo the rare Etruscan grape that is in danger of going the way of the Dodo, though has found a home on Corsica, where it is know locally as Sciacarello (Sciacarellu) though thought to have been a native varietal until very recently, it was brought to Corsica by the Etruscans back in the period of 500 to 540 BC. 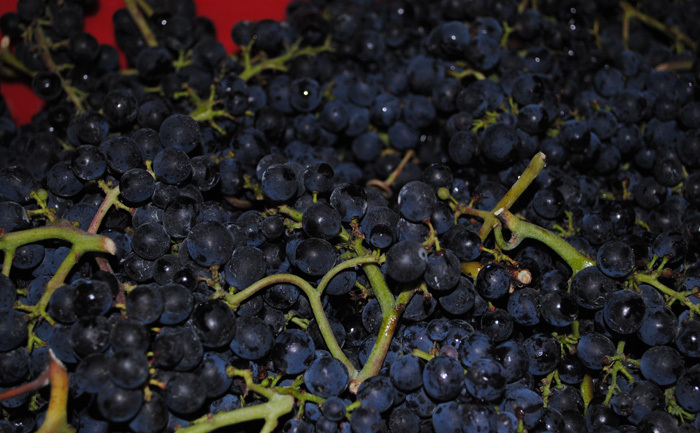 These minor grapes certainly play there part making Vino Nobile stand apart from the varietal pureness of Brunello, but really are Sangiovese driven wines with that rich character with good acids and the Le Berne delivers that classic profile and is uncluttered by oak or extreme ripeness. While the 2011, from a hot vintage was more flamboyant and slightly more dense with a hint of pruney fruit, this 2012 only displays charm, clarity and vitality, it’s gorgeous from start to finish. The 2012 is ruby/garnet in the glass with light floral and tobacco leaf notes on the nose with plenty of red fruits following on entry with a medium full bodied palate giving raspberry, currant, plum and strawberry fruits with cedar spice, subtle earthy tones, new leather and pipe tobacco with sweet tannin allowing for impressive mouth feel, texture and structure, there is a nice mineral note and lively freshness of detail that makes this vintage of Le Berne a winner with robust cuisine. Finishing with black cherry, fig and a light mix of anise/sage, lavender, loam and spicy peppery rose oil. This is drinking lovely right now, but has potential to go for 5 to 10 years with ease, this is a lot of wine for the money. 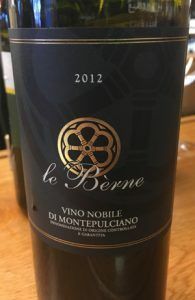 Imported by Siena Imports, the Le Berne made me long to return to Italy and especially those beautiful hill towns of Tuscan which I last visited way too many years ago, Montepulciano and Cortona were my favorites. 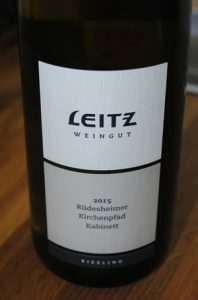 2015 Weingut Leitz, Riesling Kabinett Feinherb, Rudesheimer Kirchenpfad, Rheingau Germany. The wonderfully flavorful and generous Leitz Kirchenpfad Kabinett Feinherb is a mostly dry and lightly fruity Riesling with lots of citrus and stone fruits, brisk acidity and chock full of mineral as well as rosewater and white flowers that unfold on the nose along with saline and stones. 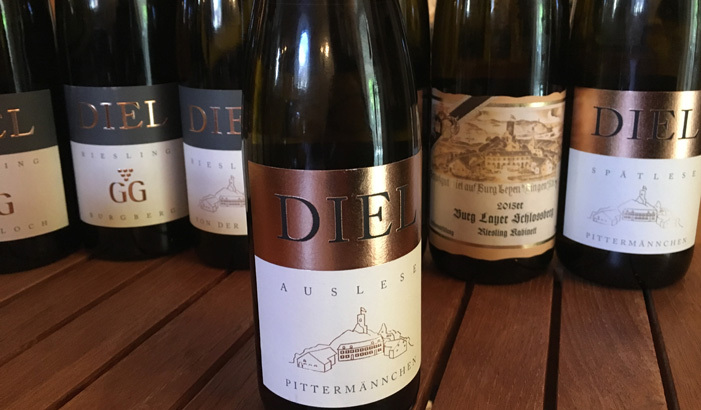 The fleshy peach and apricot compliment zesty lime and tangerine on the palate which is energetic and lively fresh with a light feel giving this wine a softly delicate mouth feel and subtle lush character, but with the vitality and verve you’d expect from Leitz. The sense of clearness and purity really carries this charming Kabinett and it’s mild hint of sweetness only adds to the overall enjoyment and doesn’t in any way distract from it’s focus, this is lovely and easy drinking wine that gives a lot for the price and is good with many food choices, I would like it with mussels in spicy broth or with a mix of Asian foods, but it will go with almost anything and will certainly provide refreshing cool and crisp companionship. Not as intense as the more slate driven wines in the lineup for 2015, but a wine of respectable quality and stylish ease to drink anytime. 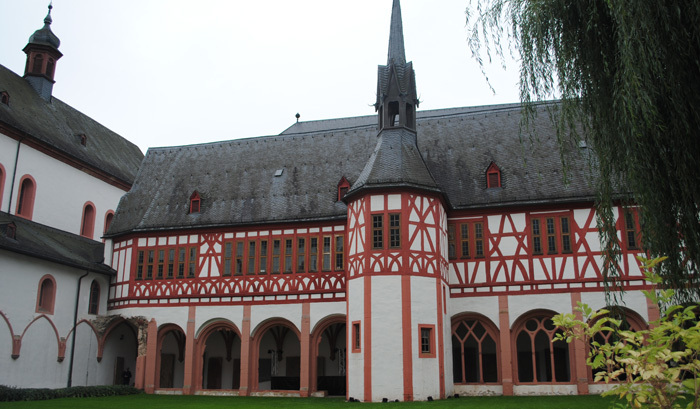 On my visit to Germany last month and in trade tastings this last Summer I have found the Kabinett 2015 vintage wines absolutely heavenly and they may not be the height of fashion with all the hype around the Trockens, but they are stunning values and great drinking wines, and remarkably good choices to mid-term cellar. 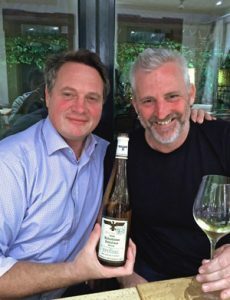 The Leitz GG’s are out of this world, that is true, but I would not over look the Kabinett and Spatlese in 2015, keep your eyes out for them! 2012 Big Basin Vineyards, Syrah, Rattlesnake Rock Estate, Santa Cruz Mountains. Bradley Brown’s Big Basin Vineyard wines are compelling and rewarding wines, especially his estate Rattlesnake Rock Syrah, which is one of the most interesting and terroir driven examples of this varietal in California! 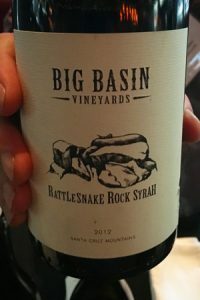 Inspired by the great wines of the Northern Rhone, the Big Basin Rattlesnake Rock Syrah is a field blend of Brown’s oldest vines on south facing slopes at about 1,400 feet above sea level set in mineral laced soils with shale, iron and sandstone at the core with lose clay and loam topsoil, it’s cool site with ocean influences, windy and a severe drop in temps at night, planted mostly to Alban clone or Cote-Rotie clone.The 225 case small production 2012 Rattlesnake Rock Syrah was fermented using organic grapes, indigenous yeasts with a tiny amount of whole cluster with about 2% Viognier with gentle hand punchdowns and a long cold soak to extract the full expression of the vineyard, then aged about two years in French oak. The wine also gets a year longer, if not two years longer in bottle than most Syrah, this adds to the integration of this beautiful wine and allows the full array of detail and aromatics to be display, 2012 was a great vintage for this region and it is full of richness, fruit layers and ripe tannin, making for a meduim/full red of depth and structure. This site produces a powerful wine, but Brown’s 2012 shows an extra level of finesse and poise to go along with the classic nature of this Syrah, it reminds me of the 2007, one of the first wines I had by Big Basin and a legendary one for those lucky enough to have had or have, it has lovely floral notes, black fruit and a wonderful mix of mineral, spice, savory elements and subtle wood shadings, firm, but gorgeous in mouth feel and length, this is seriously sensual and otherworldly stuff. Crushed violets, minty basil leaf, cracked peppercorns and creme de cassis lead the way with a core of boysenberry, loganberry, wild plum and kirsch as well as gravel, sticky lavender, cedar, clove, fig sauce, smoky vanilla and saline laced anise. Complex, textured and vibrant the 2012 Rattlesnake Rock is just beginning it’s journey toward it’s potential, it’s dark purple/black and garnet hues and opulence make for a hedonistic young wine, but given 5 to 7 years more it should really be hitting it’s stride, this is brilliant from Big Basin. 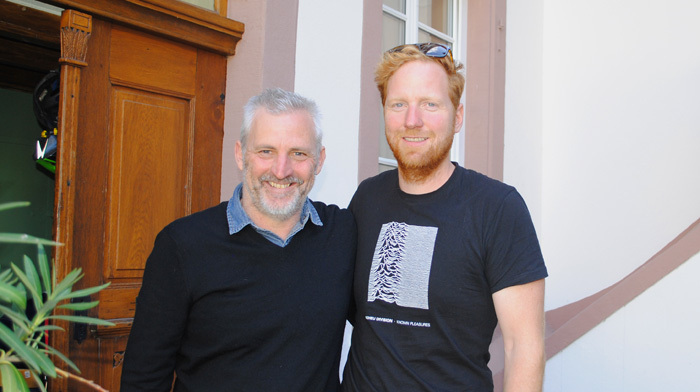 It was great to catch up with Bradley at a recent tasting, I’ve been to his winery more than a few times and have been a long time admirer of his efforts, be sure to also look for his set of current releases of Pinot Noir, in particular his Alfaro Family Vineyard 2014, as well as his awesome Rhone (Syrah & Grenache) bottlings. 2015 Laura Lorenzo-Daterra Viticultores, Mencia/Godello, Casas de Enriba, VdT Valdeorras, Spain. This wine reinforces my initial belief and confirms the amazing talents of Laura Lorenzo as a vigneron, her gorgeous 2015’s are some of the most stunning wines of year, they are unique, authentic and soulful! This Casas de Enribe 2015 red is a lovely co-ferment of Mencia 80% and Godello 20% from rocky slopes of granite, gravel, clay, gneiss and quartz in the VdT Valdeorras zone, close to the Ribeira Sacra, it has that Cote-Rotie (Syrah & Viognier) elegance and vitality, but it certainly reminds me more of a slighter lighter and more feline version of either August Clape or Teirry Allemand Cornas, though not stem influenced, it’s utterly brilliant regardless of comparison or my attempt at relating it to you! This deeply hued and wonderfully textured wine was hand harvested, all organic, and remarkably is from young vines, it was native yeast fermented and raised 9 months in neutral 500L French oak, the addition of Godello was done to add vibrancy and acidity due to the warm of the vintage and really compliments the ripe forceful Mencia allowing for a more balanced and complex wine. 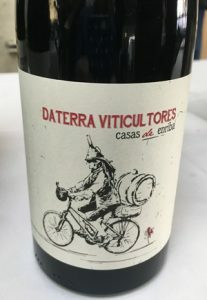 The 2015 Daterra Viticultores Casas de Enribe starts with an open bouquet of floral and spicy tones with violets, dried roses, wild herb and pepper notes leading to a refined and poised palate of medium weight showing fine tannins and a cut of acidity with silken blackberry, dark cherry and fresh picked juicy plum fruits along with anise, flinty/chalky stones, mineral spice and a hint of black fig, earth, cinnamon and lingering tangy currant/blueberry. Lorenzo’s wines are raw, transparent and terroir driven wines that offer layers of pleasure to the senses with every sip, they seduce completely and are some of the finest natural wines you’ll ever taste from a region that deserves much greater attention. These absolutely beautiful and charismatic Mencia and Godello offerings, imported by Jose Pastor Selections are worth the hunt, look for all these 2015 Daterra Viticultores, drink them over the next 3 to 5 years, again these are stunning wines that really impress and have a passionate impact, do not miss! 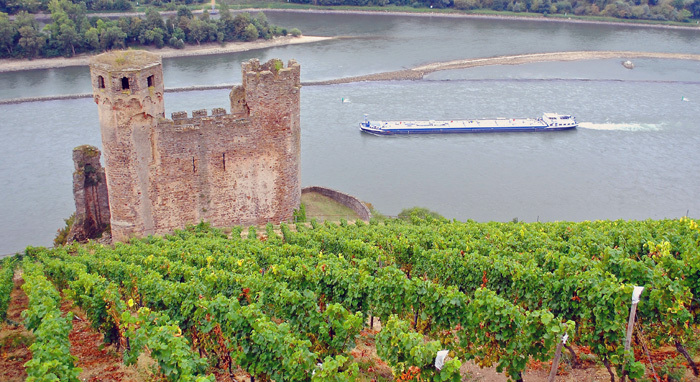 2015 Schlossgut Diel, Riesling Feinherb, Von Der Nahe, Germany. 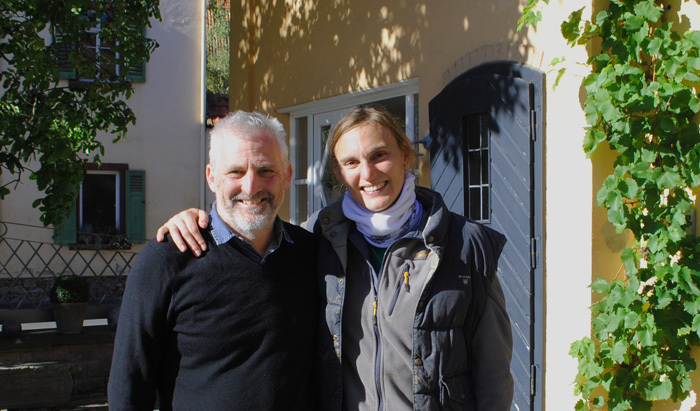 The wonderful and lushly textured Von Der Nahe is a slightly off dry style Riesling of great poise and vibrancy, but with opulent and rich character, it was exclusively crafted for Terry Theise by the talent Caroline Diel from all estate grown grapes. 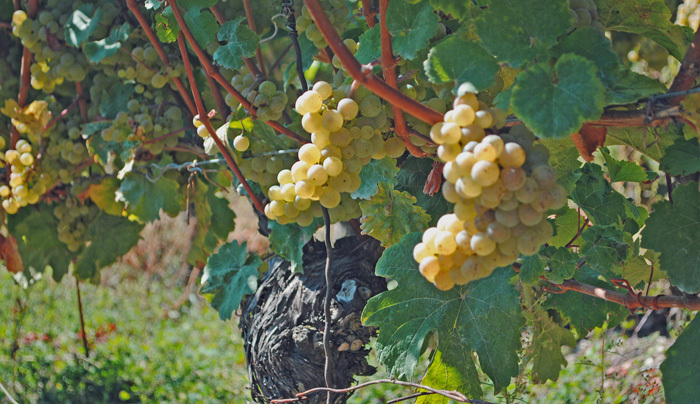 This Feinherb, which feels like it has close to Spatlese density, but with a drier tone that is less severe that the intensely crisp and brisk Trockens, this makes for a gateway wine that pleases everyone and can help expand the mind in both and dry style and the more sugar driven styles, like Spatlese and Auslese. 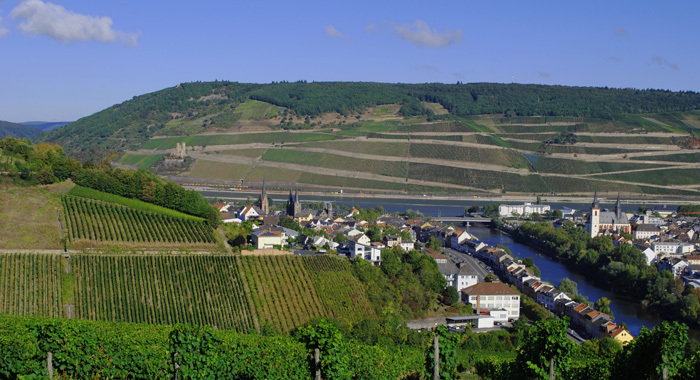 Schlossgut Diel’s Von Der Nahe delivers that perfect combination of a lavish hedonistic tease and the verve/energy filled mineral expression that only Riesling can give, and all that at a wonderful price, especially given the quality and pedigree in this wine. While an entry level offering, this is very serious stuff from Diel and should not be over looked as a wine that be cellared either, this should be sleeper, even though it is fun and vital now, this can easily surprise and reward with 10 or 15 years of age. 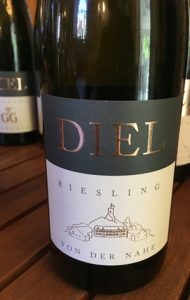 The 2015 vintage for Diel is dreamlike, all of Caroline’s wines are just gorgeous and stunning in detail and class, and this Von Der Nahe is no exception with bright golden pale hues in the glass and some impressive depth of character and layers on the palate of tart apple, peach, apricot and lime fruit with touches of tropical exoticness and zesty tangerine and an almost melon fleshy creaminess along with balancing acidity, saline and crunchy stones as well as liquid mineral. There is a roundness in the mouth and hint of sweetness to be sure, though overall you’d almost swear it was dry, and finish is impressive too with lingering orange, white cherry, fig, flinty spices and a touch of dusty earth and crystalized ginger. This wine hits all the right notes and has subtle complexity and refinement with just the right amount of flamboyance and flair to stand out while young plus it is extremely flexible for cuisine choices. 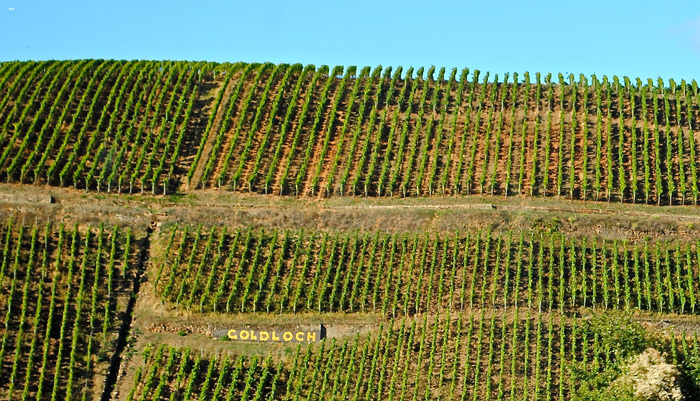 Feinherbs are rare and interesting examples of richer bodied Rieslings that have a bit more sugar that is permitted to be called Trocken, this year there are a few real stand outs from Carl Loewen, Spreitzer, Selbach-Oster and of course this Schlossgut Diel Von Der Nahe, be sure to check them out, it’s a style that has loads of appeal for both the novice and those Riesling experienced! 2015 M & C Lapierre, Morgon Cru Beaujolais, France. Expressive and outgoing, the latest Mathieu Lapierre Morgon is a beauty with glorious mouth feel and hedonistic charm and pure Gamay character. Fruity and spicy the 2015 has the same level of pleasure that the 2009 did when young, and this warm vintage benefits the house style and allows the natural acidity to feel rather more subdued, while still keeping things fresh and vibrant. This might be my favorite young Morgon yet from Lapierre in the ten years I’ve been following and buying this wine, it certainly impresses with detail, life and depth of flavors with lots of blue, black and red fruits, mineral notes and fleshy texture as well as having a nice core structure and base of silky tannin and lift. 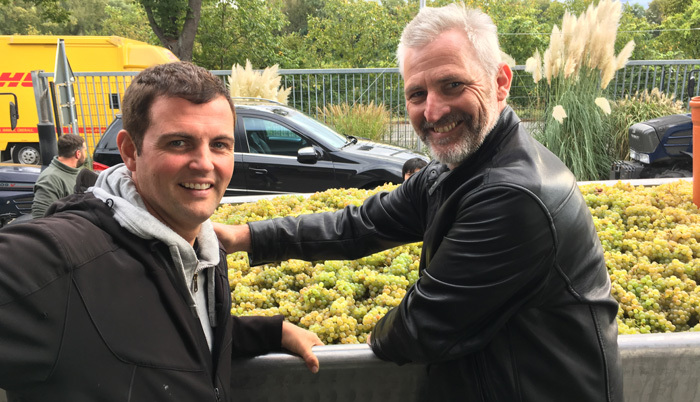 The late Marcel Lapierre inspired a new generation of natural winemakers, and his son Mathieu ( and his sister Camille) continues on his path, but adding his own flair and refinement with each vintage. 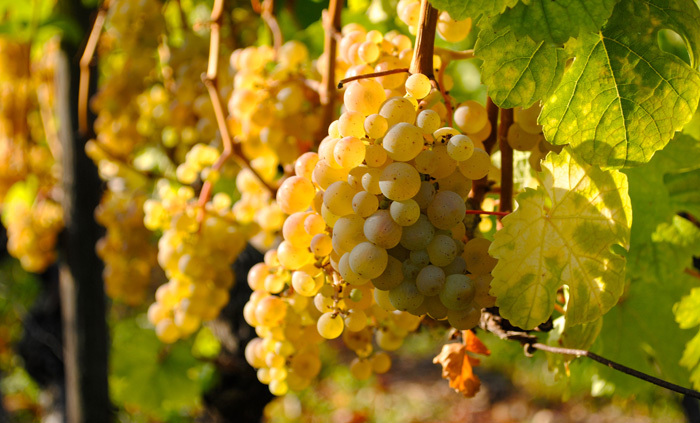 The wine is made in the vineyard with all organic methods and hard work, attention to every detail and a light touch in the cellar with only native yeasts, neutral cask and very low sulfur employed. 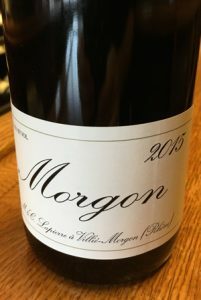 This 2015 Morgon, imported by Kermit Lynch, is the “S” cuvee, which is the lightly sulfured bottling, as opposed to the “N” cuvee that is unsulfured or non sulfur that was the only version imported in the last few years, I believe because of the higher levels of ripeness in the vintage, it has to have just a touch, and we are talking extremely low amounts to stabilize and protect this wine. Sometimes a little sulfur dulls a young wine, but not here, and while not as exotic as some vintages, this is a classic from Lapierre and it should get even better with some bottle age, this is gorgeous stuff. Beautiful violets, dark roses, blackberry, currant and anise left from the glass in this deeply hued Gamay with a palate following up on the nose with vivid plum, blueberry, walnut and strawberry as well along with a streak of blood orange, earth and tangy/savory array of pepper and flinty stones, cinnamon/nutmeg and herb tea. Lovely balance and vitality hold everything in check here with a poised energy and a seamless flow of flavors and round open mouth feel with a lengthy finish that is still a hint crisp. If you love Lapierre this is a vintage to stock up on, it still leads the way in almost all measures; pleasure, playfulness and passion in a serious field of great wines! 2014 Jean-Francois Ganevat, De Toute Beaute, Vin de France Rouge, France. A crazy blend of 50% Gamay from Fleurie, Syrah from Côte Rôtie, Mondeuse from Savoie and Pinot Noir d’Alsace crafted in the Jura by Jean-Francois Ganevat from grapes source by friends in those region and from vines in the 60 to 80 year old range on a mix of granite, marl and limestone soils mostly. Native ferments and little sulfur, all organic and used casks are used for this fresh and interesting wine. Since Ganevat’s estate Jura wines are from small parcels and very low yielding vines, he never makes enough wine to supply the world’s demand, let alone his creative energies, so he does a series of fun wines that marry fruit from around France like this one, the grapes make up an exotic mix and are done in the most natural way possible, the resulting wines are fresh, lively, expressive and wonderfully playful in a lighter style. 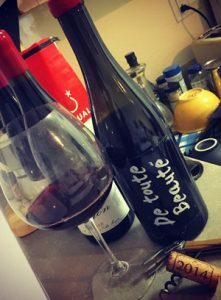 The 2014 De Toute Beaute is a bright and vibrant red that shows the 50% Gamay from Fleurie (Cru Beaujolais) as the dominate force here at this moment, though the spice and earthiness of the Mondeuse is easily picked out as well, while the Syrah from Cote-Rotie in the Northern Rhone and the Alsace Pinot Noir are hard to see and add shyly to the mix, though there is a chance they’ll shine through with more time, but overall this wild wine is a joy and pleasing in the glass. The acidity is gripping with tangy tart red berry, cherry, unripe plum and strawberry fruits leading the way with an orange zest, red peach and an impression of juicy floral elements as well as mineral tones, white pepper, loam and flinty stones all unfolding on the light and lean palate. The latest De Toute Beaute does get going a little more with air and works with food very well, though best to have with less spicy cuisine, it should prove more entertaining with holiday fare and roast chicken or turkey with a variety of sides, and cheese or salads. While nicely made and intriguing, I do prefer Ganevat’s more traditional Cotes du Jura red wines and his amazing old vine Chardonnays, drink this De Toute Beaute Nature sooner v. later, as it’s vital fresh charm is it’s most appealing quality, still it’s too cool to pass up! 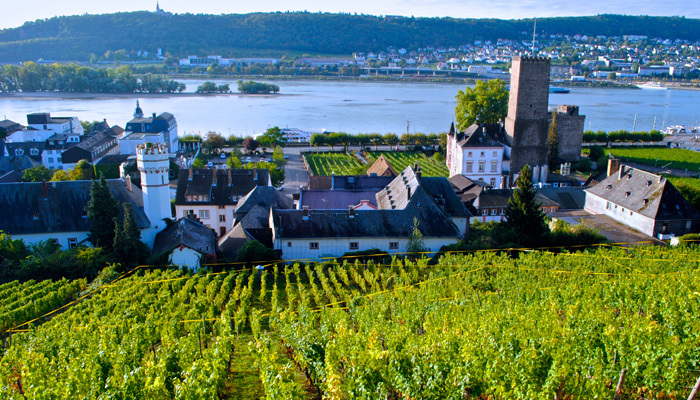 2015 Weingut Leitz, Riesling “Dragonstone” Rudesheimer, Rheingau Germany. 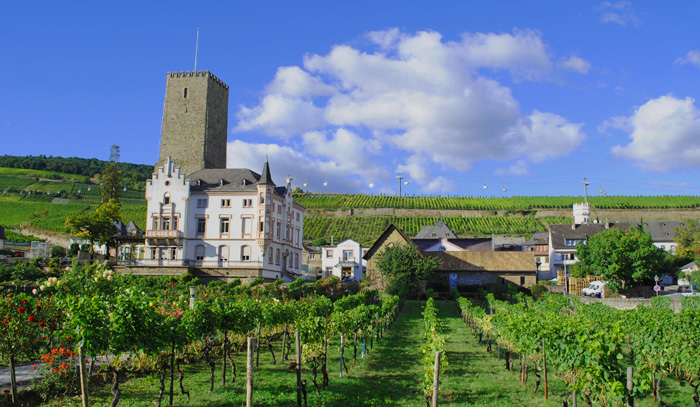 The 2015 lineup at Leitz is an amazing set of wines, especially pleasing is the feinherb/QbA (slightly off dry) style Dragonstone Riesling, which has a bit more body than a Kabinett, from the Rudesheimer Drachenstein with it’s quartzite and slate influence and terroir driven style, slightly drier in style in 2015. Basically the Dragonstone has tightened it’s belt and got into fine shape, but remains very quaffable, fresh and joyous. 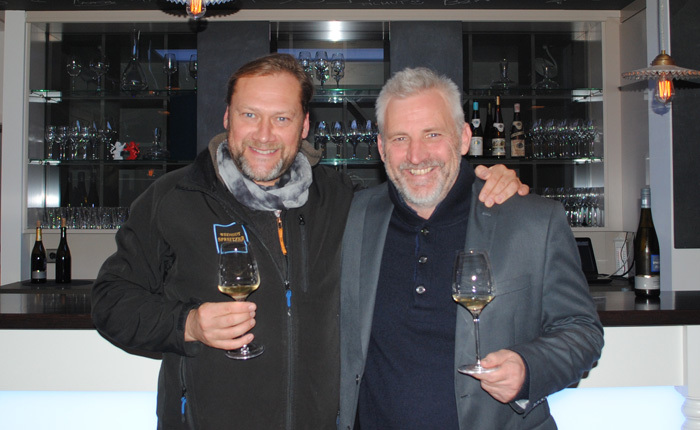 Johannes Leitz is one of the most dynamic personalities in the wine world and his wines are the standard of top quality in the Rheingau, and his vineyard manager Markus Roll has brought a new dry style approach to most of the wines even adding a few more Trockens to the lineup, this refinement has made the Dragonstone a bit more vital and vigorous, a touch less plush/sweet, without losing it’s unique charm, open/forward fruitiness and opulent nature. 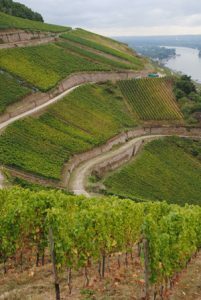 The grapes that go into the Dragonstone come from Premier Cru sites in the Drachenstein, this wine isn’t just about the fabulous label of marketing, it delivers way above it’s price point and walking these vines and tasting it at the winery reconfirms it. The 2015 Dragonstone has vibrant lemon/lime, tangy green melon and yellow peach fruits, mineral intensity, a hint of flinty saline as well as spiced rosewater and zesty tropical fruit. The palate is firmer than years past, but with nice depth and mouth feel, still one of my all time favorite value wines and a very lovable Riesling for all seasons and cuisines, after visiting the winery this year I’m even more impressed than ever! At 10% alcohol it is more severe and leaner in body, but still with enough RS to be generous and flexible with a wide array of cuisine options. 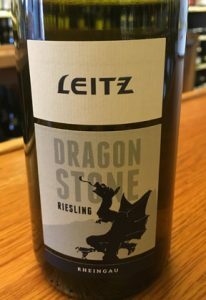 With a sense of place and playfulness, no wine has done more to expand Riesling into the mainstream of wine drinkers over the last five years than the Leitz Dragonstone, and it continues to set standards for fun, value and quality, this 2015 is really a winner, drink now and often! 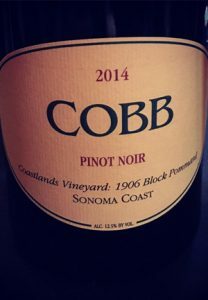 2014 Cobb, Pinot Noir, Coastlands Vineyard: 1906 Block Pommard, Sonoma Coast. I tasted this majestic Pinot Noir with Ross Cobb at the IPOB grand finale tasting, In Pursuit of Balance, a trade group designed to promote wines from California that show finesse, old world charm and with reasonably low alcohol, led by top Somm and winemaker Raj Parr and winegrower Jasmine Hirsch, with Cobb being one of the star attractions and major players in the movement. Cobb’s wines from very cool sites on the Sonoma Coast, mostly from his family’s vines at Coastlands Vineyard as well as Rice-Spivak Vineyard, have always shown delicacy and vitality and the winemaking has been very traditional, Cobb was trained in biology and sustainable agriculture and has done winemaking stints in Burgundy as well as at top Pinot estates in California including Williams Selyem, Flowers and Hirsch. He is fine tuning his craft and talents with each vintage, but is set on making long lived, lively Pinots with low alcohol and heightened aromatics and these 2014 wines are sublime, maybe the best vintage yet for his style and vision, especially this light/medium bodied Pommard clone Pinot from from the family’s old block, where an old oak tree has a big “1906” carved in, thought to be done in remembrance of the horrible earthquake that hit San Francisco and the fires and devastation that ensued. This single block and single clone Pinot Noir is gorgeous in the glass and even more beautiful on the palate, surprising opulent and seamless for a wine that comes in at 12.5% alcohol, it shows great textures, richness and satiny form, but with vigorous vibrancy and focus, this wine is simply amazing to behold, a classic in the making. With rose petal, hints of wild flowers and mineral to start the palate reveals black raspberry, cherry, plum and tangy strawberry along with silky tannins and blueberry essence, cedary wood notes, saline and spices. Everything is alive and each layers has it’s own moment to shine, like a true great wine, I was completely captivated by this Cobb Coastlands: 1906 Block Pommard, each taste seduces and takes you to a different world and the finish is spellbindingly long and wondrous. This is one of the wines of the vintage and could prove legendary, a huge thank you to Ross for sharing this limited, mailing list offering, even better, it still is available and there are magnums to be had, drink from 2020-2027, if you can be patient!